HomeFeaturesThrowback10 year challenge: How has your team fared? 10 year challenge: How has your team fared? It’s the latest craze across social media, so we thought we would do a 10 year challenge of our own – and look at how your favourite clubs have got on over the past decade. Looking at the final Super League table from a decade ago, there has only been one change – with Salford coming in for Bradford, compared to 2019. 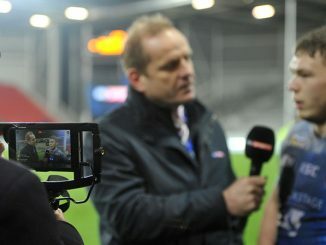 The 2008 season was of course the last season before the introduction of licensing, which saw Super League expand to 14 teams for the 2009 campaign, with Salford and Celtic Crusaders joining 12 others in the top flight. There’s only one word to describe Leeds’ decade – dynasty. Five Super League titles, two Challenge Cups, two League Leaders’ Shields and a World Club Challenge, as well as three further cup final appearances. 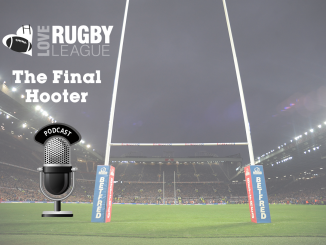 They’ve had a mixed last couple of years, playing twice in The Qualifiers either side of a Grand Final win, and enter a new era under new coach Dave Furner in 2019. While disappointing on the pitch last season, the re-development of Headingley will prove a huge asset to the Rhinos as a leader in world rugby league. 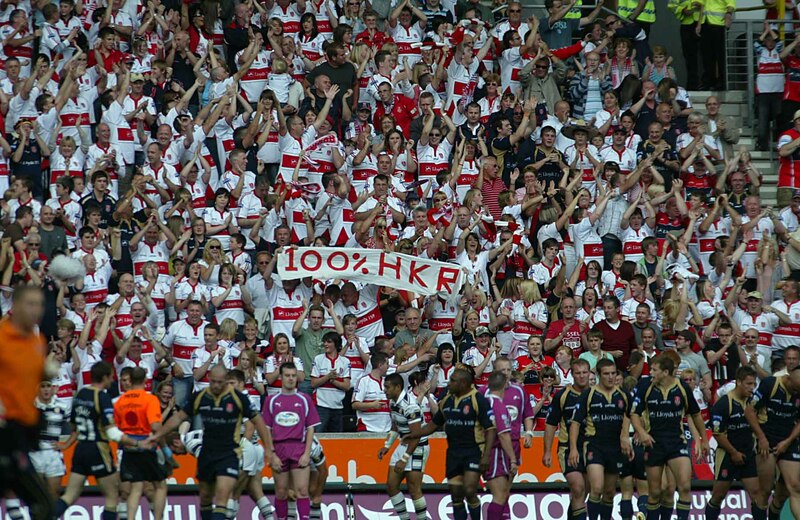 A decade ago, St Helens were gearing up to start the Super League season as Grand Final losers and League Leaders’ Shield winners; they romped to the shield last year, but were of course beaten by Warrington in the play-offs so didn’t reach Grand Final. They’ve managed one Super League title and two League Leaders Shields in the past 10 years, so not a bad return, but their biggest forward step was the move from Knowsley Road to the Totally Wicked Stadium, which will surely cement their place as an elite club for many years to come. 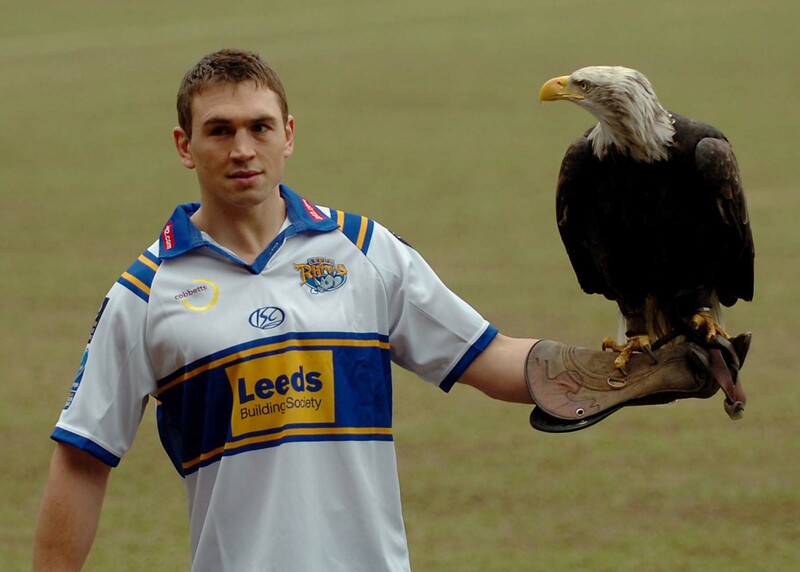 It was Paul Wellens’ testimonial 10 years ago this month too – feeling old yet? 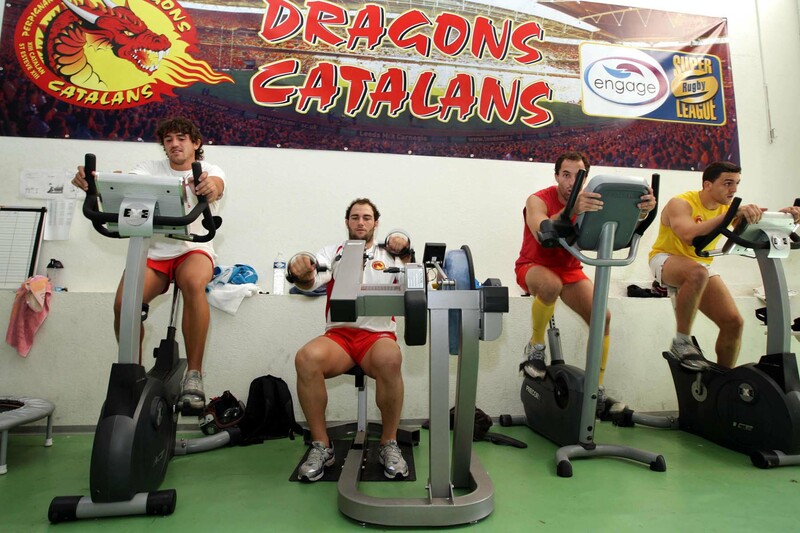 Finished third in 2008, it’s fair to say the Dragons haven’t really kicked on as they perhaps would have liked since then, though they did enjoy a renaissance in 2018 with their famous Challenge Cup win. Big name recruitment in Sam Tomkins and Matty Smith following on from a strong second half of last season means they must now deliver a team to compete for the play-offs under Steve McNamara. The fact they’ve got the Challenge Cup trophy in the cabinet at Stade Gilbert Brutus just about makes them pass the 10 year challenge. 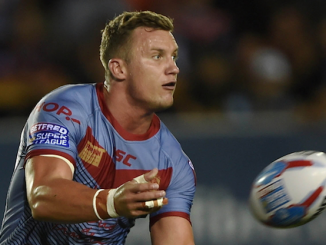 Another club entering a new era in 2019 but that can look back on a successful decade is the Warriors, who scooped four Super League titles, two Challenge Cups and a World Club Challenge. Their academy keeps producing top quality players and that will surely continue under Adrian Lam, Shaun Edwards or whoever is in charge. Probably the most obvious fail in the 10 year challenge are the Bulls, who finished fifth in Super League back in 2008, but will start 2019 in the Championship. Bulls fans will be hopeful they can put a turbulent decade behind them and push for promotion back to the promised land once again. While Warrington will be disappointed not to have a Super League title under their belt by now, they can look at the last decade as a major step forward. Three Challenge Cups and two League Leaders Shields were won, with four Super League Grand Final appearances and two further Wembley visits. 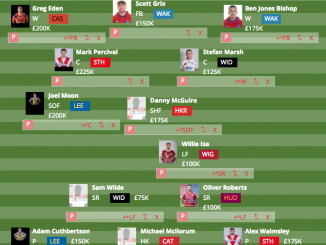 They’ve now set a high bar for themselves moving forward, and with the Gareth Widdop news announced this week, will be hoping to finally break that duck. A tough call this one, as Hull KR consolidated their place in Super League last season having 10 years ago, finished in a respectable seventh place. They dipped after the Justin Morgan era, though there are signs under Tim Sheens that they can build towards being a team that challenges for the play-offs. One big positive for them has to be the development of the north stand at Craven Park. Wakefield’s progress in the past few years has been remarkable, and they have turned themselves from perennial strugglers a decade ago, to a team capable of challenging for the play-offs. However, the lack of progress for them on the stadium front meant they only just scrape a pass. It is a massive achievement for London Broncos to be back in Super League in 2019, but there must be disappointment at the failings of the Harlequins project and their continued nomadic existence, with their current home at Ealing Trailfinders hardly the greatest advert or platform for top flight rugby league, as nice as it is. Hats off to Danny Ward though for both his loyalty and stellar work as coach. Their indifferent form of recent years shouldn’t take away from the fact that the Giants recorded a League Leaders’ Shield triumph in the past decade, as well as Challenge Cup final appearance. They are perhaps not in an overly different place to this time 10 years ago, which begs the question what can they do to kick forward? Hull have hinted in recent years that they were ready to establish themselves as a top club in the game, but 2018 was a setback. But they are certainly better placed than this time a decade ago, when they had finished 11th in Super League, just two points off the bottom. They’ll need to get to at least a Grand Final soon though. Despite the mischievous tweet below, Castleford’s on the pitch fortunes could hardly be different. 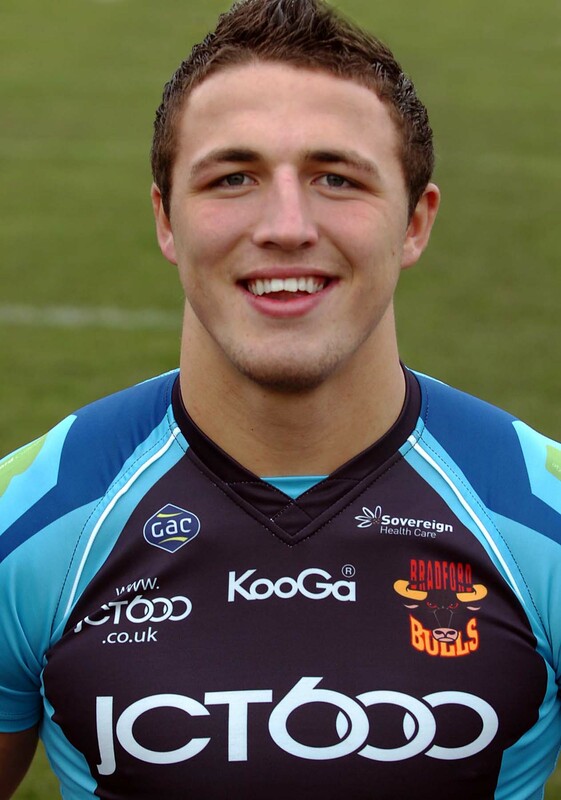 Having finished bottom in 2008, they were awarded a licence for the 2009 season and eventually would kick forward under Daryl Powell to become Super League contenders, winning the League Leaders’ Shield and reaching a Grand Final in 2017. Can they now use this progress to kick-on off the field? Another tough call. Salford have had an eventful decade, having been awarded a licence to re-join Super League in 2009 (though they were Championship winners in 2008 anyway). They’re still in Super League at least, and have of course left The Willows for pastures new at the AJ Bell Stadium, but concerns remain over their feasibility and sustainability moving forward. 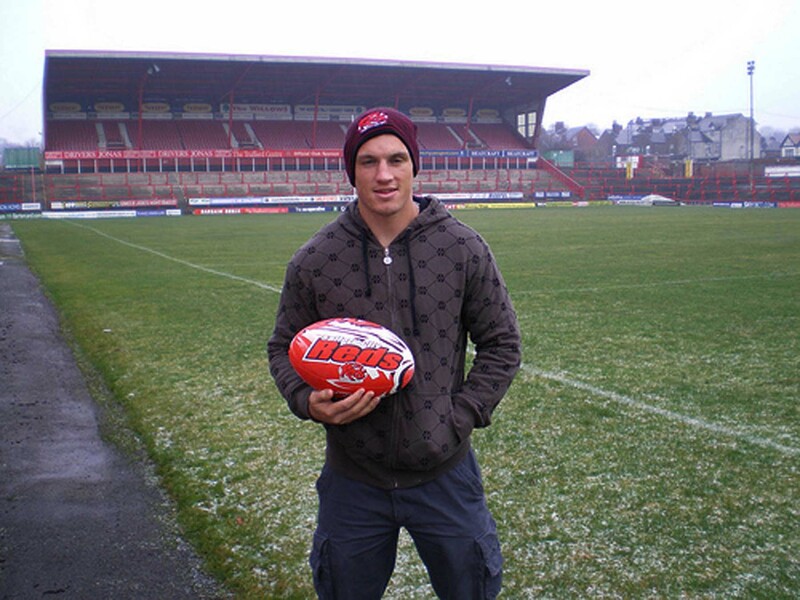 This time 10 years ago we were crowing at the prospect of the first ever Welsh team in Super League. But they would sensationally bow out of the top flight after withdrawing their licence application ahead of the 2012 season. Having worked their way up from the then National League 2, Crusaders were chucked in to the top flight at the expense of Widnes and Leigh, and showed some signs of promise, but were marred by a number of controversies, financial issues and a move north to Wrexham. 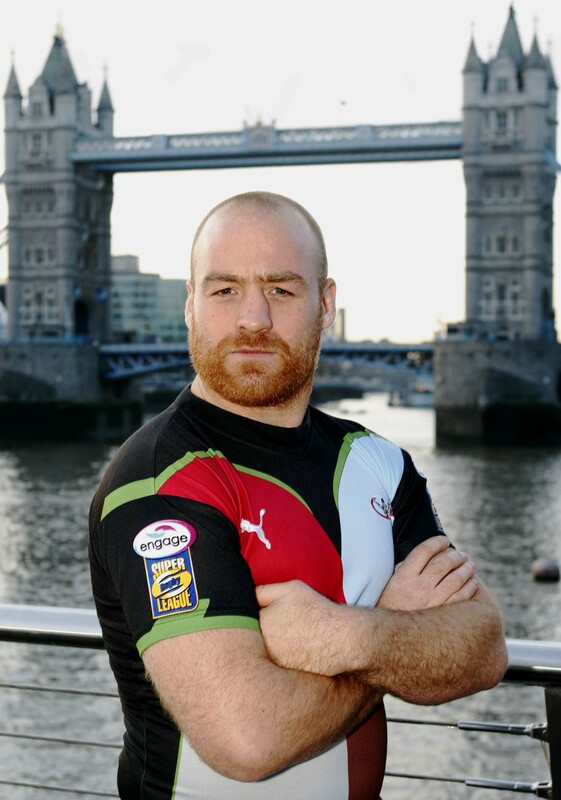 The only saving grace is that North Wales Crusaders have been born out of the ashes, and while they haven’t done anything spectacular (yet), they are at least maintaining a presence in the professional game. 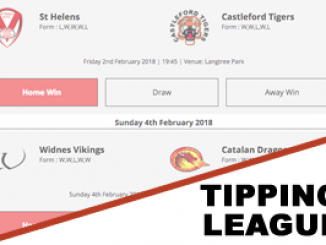 Widnes would use 2009 to meet the on-field criteria for the licence application that saw them return to Super League, but they find themselves back in the Championship 10 years on. Having been left disappointed by their rejection in the first licensing run, their owners at least kept them on the forward path and they would eventually return to the top flight. But after relegation, there is now uncertainty over the club’s future ownership and none of the positive outlook that was perhaps held a decade ago. With two Championship titles in the past decade, Sheffield can look proudly upon their achievements despite the setback of the closure of the Don Valley Stadium which forced them to move out of the city. They are back there now, and perhaps there is light at the end of the tunnel for the tireless Mark Aston. Leigh, while disappointed with their current predicament, have enjoyed a season of Super League and three Championship titles, and appear to have at least restored some sanity under John Duffy this off-season, while his former club Featherstone have cut their cloth accordingly too. Looking at the 2009 line-up of the Championship, Toulouse are there – and they are of course back in the second tier now and far more competitive. Barrow, who would win the competition in 2009, are still in too, as are Halifax and Batley. Whitehaven find themselves in the third tier with Doncaster. Gateshead Thunder were at their peak this time a decade ago, having triumphed in National League 2 in 2008, and while they collapsed a few years after that, they are starting to build steadily as Newcastle Thunder. There were 10 teams in League 1 that season – one of which, Blackpool Panthers, are sadly no longer with us.